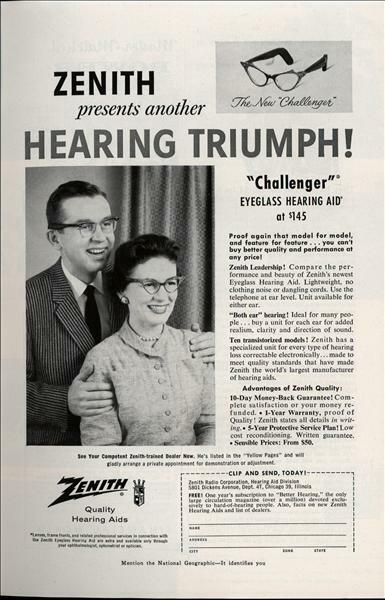 ZENITH presents another HEARING TRIUMPH! "Challenger" EYEGLASS HEARING AID at $145 Proof again that model for model, and feature for feature . 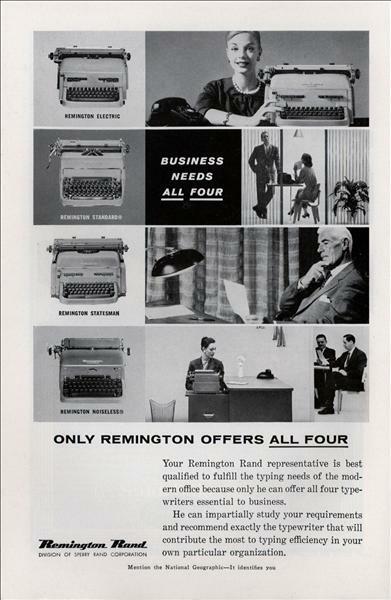 . . you can't buy better quality and performance at any price! Zenith Leadership! Compare the performance and beauty of Zenith's newest Eyeglass Hearing Aid. Lightweight, no clothing noise or dangling cords. Use the telephone at ear level. Unit available for either ear. "Both ear" hearing! Ideal for many people .. . buy a unit for each ear for added realism, clarity and direction of sound. Ten transistorized models! Zenith has a specialized unit for every type of hearing loss correctable electronically... made to meet quality standards that have made Zenith the world's largest manufacturer of hearing aids.